Building climate resilience across the Pacific is imperative given the vulnerability of Small Island Developing States. Prime Minister and COP23 President echoed these sentiments at the opening of a side event in Bonn on the risk informing development. 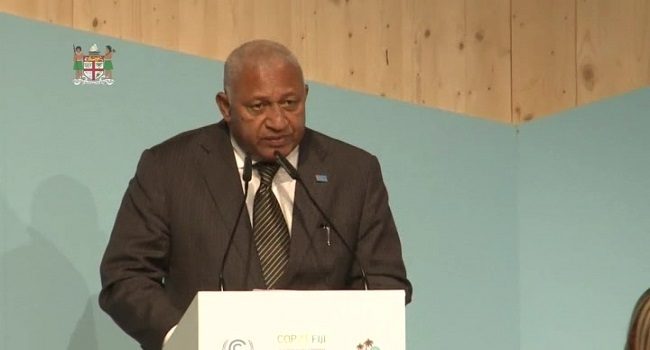 Bainimarama noted while Fiji had put into practise climate resilience policies, it was still work in progress. Other areas of climate resilience policies included ensuring any new development or capital project considers the climate risk before given the go ahead.